Summer is a fantastic time of year because there’s so much to do outside. Some people – especially native WISCONSIN people – will argue that there’s plenty to do in the long winter months too, like ice fishing, snowmobiling, and watching Packers games. haha. But I’m not a huge fan of colder temps, and I don’t follow football. Summer is MY SEASON! I love summer. 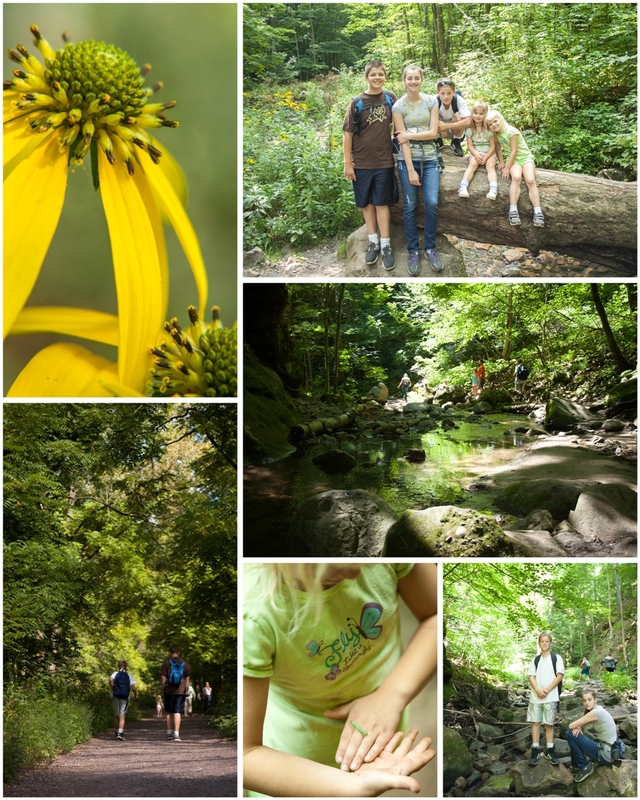 Once the kids get out of school, my husband and I like to take them on small day trips to state parks and conservation areas to hike and explore. 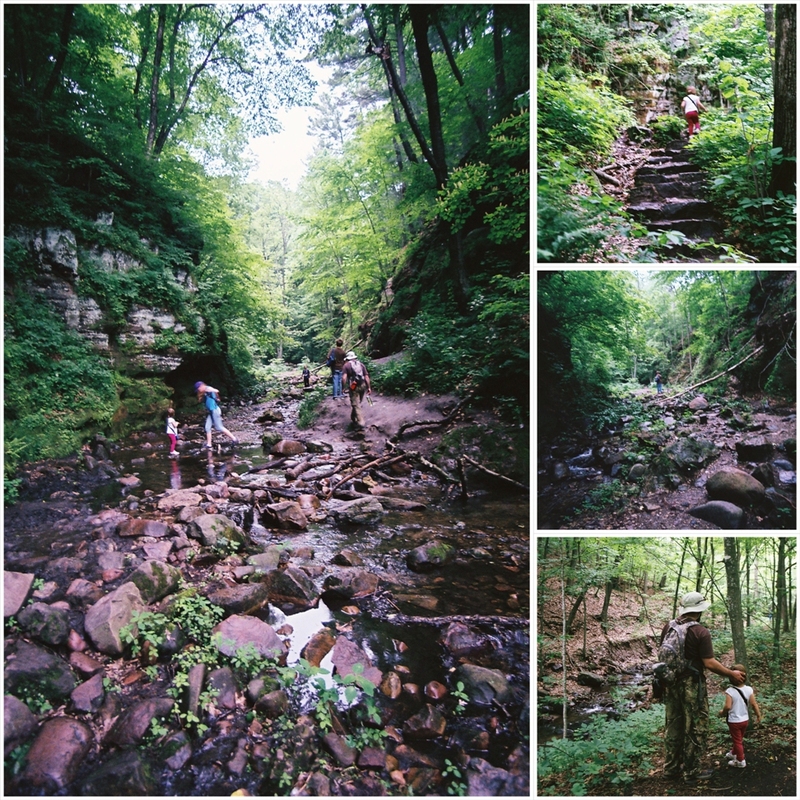 Last year we took our kids to Parfrey’s Glen, which is about 30 minutes from our house. 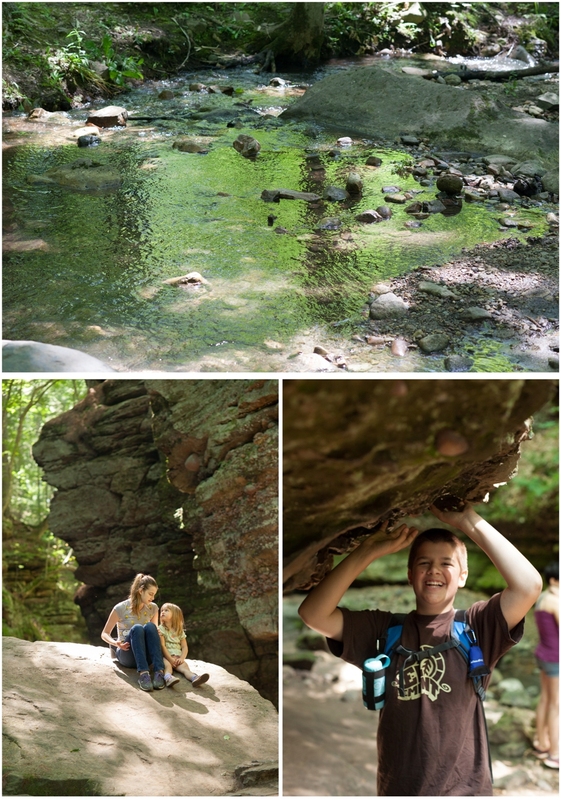 It’s a small hiking trail and creekbed with beautiful rock formations and greenery. I brought along my 35mm film camera and some expired Fuji 400 film. I love expired film because of the funky results you get. These pictures were taken on a Canon EOS5, developed and scanned at Walgreens. Even though there’s a lot of purple tones in the shadows, I really like them! It’s not what I’d want for everyday, but for a fun little trip this was a fun little roll of film to shoot! These images were taken with my Canon 5D markii. This blog post is part of a collaboration of photographers, shooting film and learning and sharing our work. This month we showed our Fuji Superia images. Please click over to Emily’s Blog to see her film images from this month. Gretchen Willis is a Portage Wisconsin family photographer, couples photographer, tween photographer, senior photographer, and event photographer serving Portage, Wisconsin and the surrounding areas including Baraboo, Wisconsin Dells, and Montello in Columbia County and Marquette County. Please “like” my facebook page so you can see my most current photography projects! Posted by Gretchen Willis. Categories : Children & Families, Events, Everyday Lifestyle, Film Photography. What a lovely series of images! I adore the three in a line of your little girl, the pick and green are perfect! I’m a summer girl too! Looks like a beautiful place! Oh, living in Michigan, I SO agree with you. Summer is my season too. We have to make the most of every minute of it too, it never lasts long enough. Great photographs. It looks like a magical place.